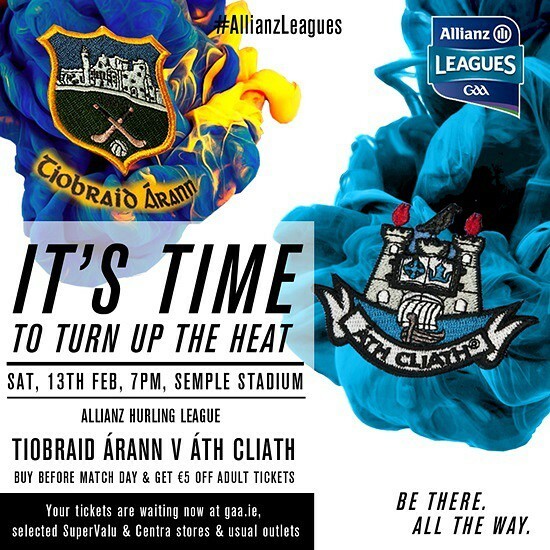 Ballyboden St. Endas (Dublin) defeated Clonmel Commercials (Tipperary) by 0-15 to 0-10 after extra time in the AIB All-Ireland Senior Football Championship Semi-Final on Saturday February 13th at O’Moore Park Portlaoise. Brave Ballyboden St Enda’s came back from the brink to secure their AIB All-Ireland club football final place in dramatic extra-time circumstances in Portlaoise. Andy McEntee’s Dublin champions trailed by three points with 12 minutes remaining in normal time. 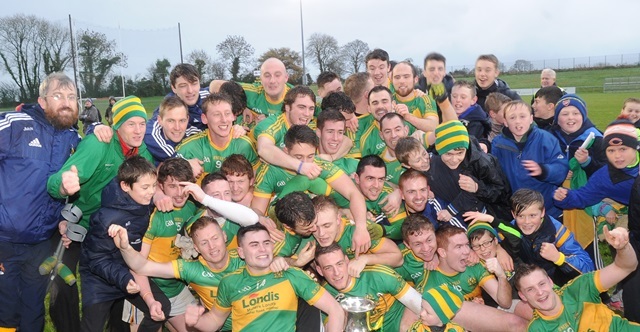 But they fought back to level it at 0-10 apiece, thanks in part to Darragh Nelson’s 63rd minute equaliser, and held firm in the extra period to progress to the March 17 All-Ireland final. The win was all the more impressive as Ballyboden lost ex-Dublin midfielder Declan O’Mahoney to a 53rd minute red card but simply refused to accept defeat. Gutsy Clonmel found life difficult in extra-time and were rocked by the loss of star attacker Michael Quinlivan to a black card in the 61st minute. Both sides made late changes to their line ups with Aran Waters, who kicked the winning point in the Leinster final, replacing Stephen O’Connor in Ballyboden’s half-back line. Barnes came into the Clonmel team for corner-forward Pádraig White and kicked their opening score in the 12th minute from a free.That tied the game up at a point apiece after an energetic, if inefficient, opening. Ballyboden had more chances but racked up six wides in the opening 10 minutes, two of those coming from veteran attacker Conal Keaney. Andrew Kerin hit a seventh minute point for ‘Boden and tied the game at 0-2 to 0-2 on the quarter-hour mark with a fine score from distance. Club stalwart Kerin then put ‘Boden back in front with a trademark free following over carrying in the Clonmel defence, 0-3 to 0-2. It was tight and tense and, in truth, the game was error strewn with both sides guilty of wasteful kicking, firing 11 wides between them in the first 20 minutes. Ballyboden got large numbers back when defending and Keaney, their corner-forward, snuffed out a Clonmel attack on his own goal line late in the first-half. Clonmel finished the half stronger though and just about deserved their 0-5 to 0-4 interval lead following scores from Kevin Harney, Quinlivan and Barnes. Clonmel stretched the gap to three points at 0-9 to 0-6 with 12 minutes remaining and appeared in pole position to kick on for victory. But ‘Boden had retained a strong kick for the closing minutes and remarkably booted four points from the 56th minute onwards to tie it up and send the game to extra-time at 0-10 apiece. Ballyboden were surprisingly at their ease in the extra 20 minutes with five points to Clonmel’s no score, a brace of scores apiece from top scorer Andrew Kerin and Keaney. Scorers for Ballyboden St Enda’s: Andrew Kerin 0-7 (0-5f), Conal Keaney 0-4 (0-3f), Sam Molony 0-1, Colm Basquel 0-1, Darragh Nelson 0-1, Ryan Basquel 0-1. Scorers for Clonmel Commercials: Ian Barnes 0-3 (0-2f), Jack Kennedy 0-2, Michael Quinlivan 0-2 (0-1f), Jason Lonergan 0-2, Kevin Harney 0-1. Subs: Ryan Basquel for Davey (33), Stephen O’Connor for O’Reilly (35), Sean Gibbons for Molony (55), Shane Durkin for Clayton (55). Moloney replaces red carded O’Mahoney for extra-time, Donagh McCabe for Gibbons (h/t e/t), S Lambert for Molony (77). Subs: Padraig White for Madigan (49), Padraig Looram for Barnes (56), Shane Taylor for Condon (63). Niall Kelly for Quinlivan (63, B/C), Shane Flynn for Looram (h/t e/t).